I am lying on a cot with a baby on my chest. I feel like I have been in labor for four days straight, and I have finally given birth. I am tired and sore and drained emotionally... And I think I am finally holding my son. Today was day four. 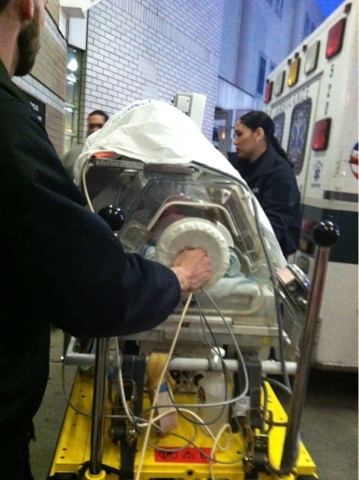 We got to the hospital and spent time with N. and visited the baby in the NICU. We met another family member, which was very intimidating because he was a totally bad mamma jamma and is notoriously protective of miss N. I think we ended up winning him over though, because by the end he was insisting that Tom come to his house to watch the Super Bowl with him and his friends. This might be a word for word description of Tom's worst anxiety nightmare, but I think that is the seal of approval we were all hoping for. 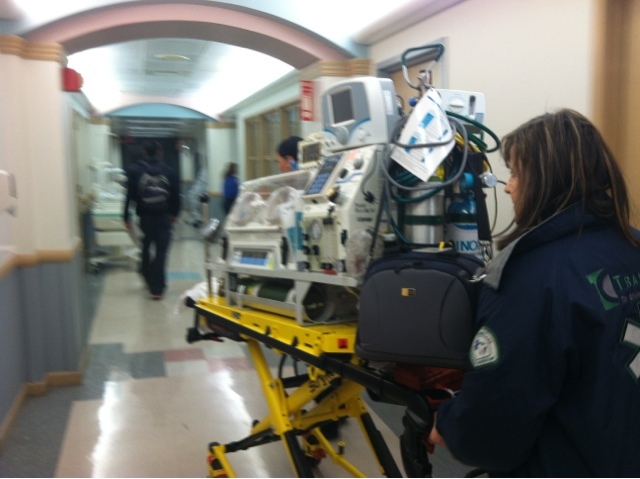 The hospital had baby boy transferred to a different NICU because of over crowding. 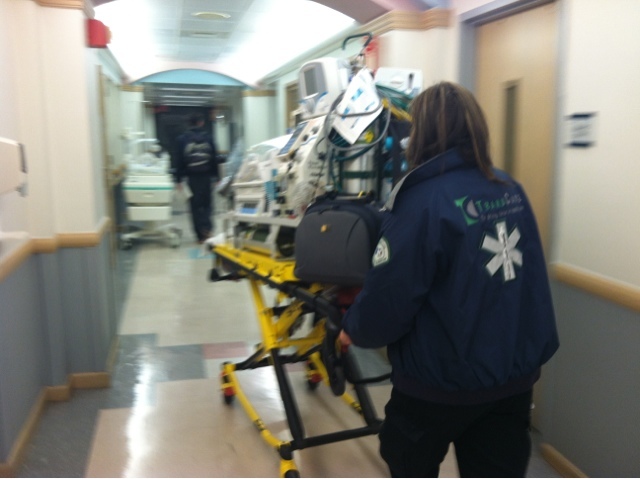 It felt nerve wracking to see them transport his incubator by ambulance... but I was able to go with him, and they were transporting lower risk babies, so I felt really reassured that he was able to travel. 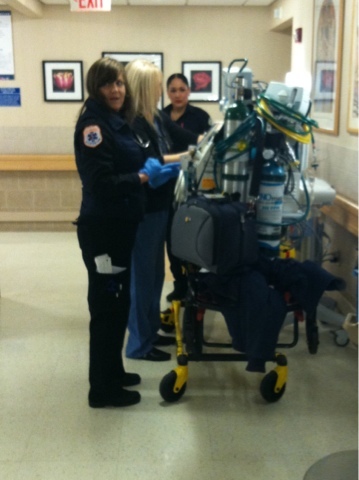 Before he was transferred one of the NICU nurses was asking me about adoption and my family. A few minutes in to the conversation we made the connection that she was working at the same hospital in New Jersey where Harper was after he was born. There is no way of knowing whether or not she ever cared for him, but it was really neat that these two brothers may have had the same nurse. 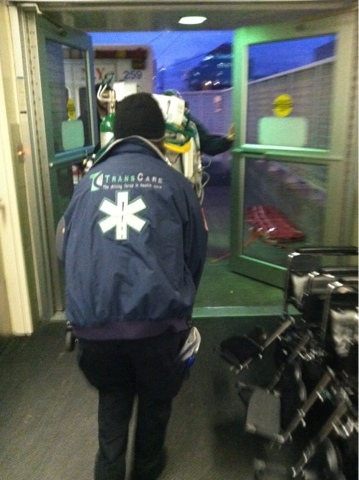 The ambulance took us to the new hospital and N. arrived shortly after. We both knew that this was going to be a really hard night, her first night apart from him. It felt so unfair that the baby got sent to the NICU and she was sort of robbed of the time that she should have had with him in her room. The new hospital was loud, chaotic and in pretty rough shape, but the good part was that the babe had his own private room and one of his mommies is allowed to stay over night with him while he is here. N. graciously insisted that I be the one to stay overnight, which was the first mom thing I have been able to do. It was very bittersweet knowing that I would be stepping in as mama, probably for the rest of his life. Passing the torch, so to speak, was another one of those beautiful, sweet, heart wrenching moments that I will never forget, I will always be thankful for, and never want to experience again. I keep trying to imagine watching another woman hold the baby I built from scratch and carried for the better part of a year, knowing she will get to experience all of the snuggles, and the kisses and the triumphs in my child's life. I try to imagine how I would feel as I sit and watch this just days after my belly had been sliced open, my skin stretched beyond repair, my body forever marred. I can imagine all the things I might feel: envy, bitterness, sorrow, grief, relief, regret, worry... I don't know if I could smile through my tears and also have the courage and grace to show genuine joy as well as sorrow. I don't know if I could muster it. But, she did. Miss N. This girl who I have come to love as my own rubbed her nose against his and gave him to me. I spent my first night as an almost-mother of five with this sweet little guy snuggled up to my side. 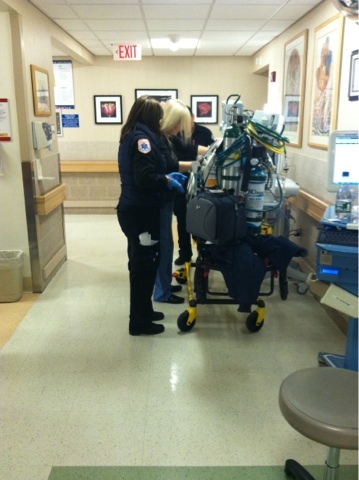 He is such a little fighter. The pediatrician said that he has to be here at least five more days. We still have no idea what has caused the infection, but he is also not passing his hearing test in one side, and is having some complication with his eyes. I really believe that all of these things are going to be perfectly fine, but I will be very relieved when they just ARE fine. We have spent the last 24 hours just getting acquainted; our smells, our voices, our touch are all unfamiliar to this baby who will eventually come to know those smells, feelings and sounds as the most familiar things in the world. There is a strange span of time from when a baby that might be yours is born until the moment somebody officially says he is yours. I am in that span of time now, and I keep catching myself closing my eyes and feeling for him. Not with my hands, but with my heart. I don't even mean to, but it's like my deep subconscious knows I am starting to feel maternal love for something my biology isn't registering as my offspring. I keep catching myself touching base with my heart, as if I am asking it "do you feel like his mama yet?" I think that in some way I am trying to reassure myself that once I feel like his, than he will really be mine and I can finally breath. Just saying that feels so selfish in the midst if everything N. has gone through. Because as hard as it is to exist in this in between time where anything could happen, my biggest problem is whether or not I feel enough like a mommy for this baby that I will likely get to keep. That, my friends, is nothing compared to the one who is closing her eyes and feels nothing BUT him. And so, my prayer for us all is that when we close our eyes, on purpose or just as a reflex... And we touch base with our hearts, I pray that we find them open and full. And I would pray that when this baby's moms are wondering if they did right or are doing enough, that we can feel him, our son, and he can feel us. But I long for the day when miss N and I touch base with our hearts and, more than anything else, we can feel Him, our God, and are sustained by the grace and peace His promises bring.